December 2: Jesus Beyond Dogma II: xxxii – Francis could not fall very far, but he was free. The second half of life usually consists of what we have denied in the first half – our shadow; which is not some form of addiction, but failure. We can’t entertain the powerlessness of loneliness, impoverishment, boredom and generally not being in charge. We settle for a kind of pleasure that lacks joy, and even involves denial of joy. We can’t imagine being happy without money, without many options. We have replaced freedom of spirit with freedom of choice. Why did Francis move into a life of non-power, non-aggression and sine proprio? He was so close to the bottom of life that he could not fall very far, but he was free. He knew that God doesn’t look at our faults and failings, but at the many ways we have been determined to try and say yes [which is what parents hope for seeing their children]. Once experiencing being fully alive we will never fear death, because we will know that we have not just lived but have come alive, and that such life is eternal and another form of it is waiting for us. Which is what Paul urges: reproducing the power of his Resurrection – Phil.3.10. If I have not lived fully, death will terrify me, not knowing that this is not the end. Working in Zambia showed me a village people who lived – by our standards – with next to nothing. The children played, parents scratched a living from hard ground; but they had something we lack. An attitude with no room for cynicism. When they came together their singing was spontaneous – no hymn sheets; and they smile, with nothing to smile about. Like loving, smiling enjoys its own justification, is not dependent on having a reason to smile. What do we think about when all else is gone? What did those victims who had no access to computers and phones on the aircraft speak about before the aircraft hit the twin towers? The language we heard was love, nothing else mattered. Life’s only purpose is to live lovingly by choice, and die in the same way. How can this become life’s norm? Be careful of a too ready recourse to detachment. Those victims were far from detached from what mattered. Life’s purpose is not to become detached but attached. For this to be real, other things have to be gently set aside. This evening we have the Eucharist; the Maundy or Mandatum, the servant-king washing the disciples’ feet; and we have Christ going out to the garden and his death. This is a Feast that should remind us of the Church’s mission, to love. I like this reflection, written in wartime by Father Andrew SDC, which reminds us of this truth about the Church which so often is obscured. The Church is not an organisation managed by men but an organism indwelt by God, and for that reason you should go to Holy Communion on Sundays and great Festivals if you can. Père Huvelin, Baron von Hügel’s confessor, told him to say a decade of the Rosary every day to keep him in the company of ordinary, simple people in the Church. I am sure it is your duty to go as regularly as you can to Holy Communion to keep yourself in the Body of Christ. Bad as the world is, ‘God so loved it that he gave’ his blessed Son for it. Those are the three loves of God: the world, the Church, the individual. God bless and keep you in His tender love. The Rood at Our Lady and the English Martyrs in Cambridge shows Christ the Vine – an image he used on this night (John 15:1-8), bearing fruit, giving us the Eucharist, and reigning now he is lifted up. The Mass is a special celebration in Zambia. 6 April, Advice to Missionaries: Eat whatever they set before you. Meet Jean-Marie Vianney K. Cishugi who is a student with the Missionaries of Africa, White Fathers. Here he is writing of his early days in Zambia, learning two languages to be able to work with the local people. By Jean-Marie Vianney K. Cishugi, stagiaire. I came to Zambia in July 2016 to follow the “Welcome to Zambia” introductory course in Lusaka. It was not easy for me to communicate efficiently in English. I made an effort to learn and to practise with people who were willing to help me to improve my English. In fact, I got some help from my brothers who were patient enough to correct my mistakes while speaking. Then, I came in Barotse Land in Western Zambia on the third week of August 2016 in order to start my apostolic training in Saint Gabriel Parish. I was sent to learn the local language Silozi which is a beautiful one with all its grammatical formulations and verbal richness. While learning it, I was also getting acquainted with the Lozi culture. Amazingly, one must clap his hands (ku bulela niitumezi ni kukambelela) to say ‘thank you’. We were four learners to follow the language course at Limulunda for three months. I came to realise that I have to humble myself if I want to learn a new language. It took me few weeks to be able to speak a bit. I struggled a lot with my intonation and it took me a lot of courage. Once in a while, l would join my community at Namushakende on Sunday and visit an outstation of our Parish. Initially, l was afraid and shy to speak but I managed to communicate. I went to Nanjuca, one of our outstations, for my immersion into the language and the culture. I was nicely welcomed in this village. Some people thought that I was there to interact only with Catholics. Slowly, they discovered that I was there for everyone. Children were happy to be with me. I was eating everything they offered me except tortoise (kubu). I led the service prayer on Sundays. Everybody, children and parents alike, were praying with me though the majority belong to the United Church of Zambia (UCZ) and the New Apostolic Church. I had the trust of Parents who helped me to practise the Silozi language. I seized this opportunity to deliver a message from Father Venerato Babaine encouraging parents to send their children to school and live together in peace and harmony with other religions. I had a very fruitful experience and l owe the people a huge debt of gratitude. During my last days in the village, l was really touched by the generosity of the people who came to bid me farewell. Regardless who they are or where they come from, they offered me few presents. People were sad and some burst into tears when Father Christian Muhineza came to pick me up. I felt sad as I had to go. I am happy to be with the Lozi people and they are pleased when I speak their language. Niitumezi kaufela a mina (Thank you all) mi mulimu amitohonolofaze (and God bless you)! The Lord appointed also other seventy-two: and he sent them two and two before his face into every city and place whither he himself was to come. And he said to them: The harvest indeed is great, but the labourers are few. Pray ye therefore the Lord of the harvest, that he send labourers into his harvest. Go: Behold I send you as lambs among wolves. Carry neither purse, nor scrip, nor shoes; and salute no man by the way. Into whatsoever house you enter, first say: Peace be to this house. And if the son of peace be there, your peace shall rest upon him; but if not, it shall return to you. And in the same house, remain, eating and drinking such things as they have: for the labourer is worthy of his hire. Remove not from house to house. And into what city soever you enter, and they receive you, eat such things as are set before you. And heal the sick that are therein, and say to them: The kingdom of God is come nigh unto you. And what feast is set before us next Thursday! It is important to speak the local language, (including clapping hands and smiling) and humbling indeed to learn. I must return to my neglected Polish! Missionary Sisters of Our Lady of Africa with symbols of the gifts their congregation shared with the people of Zambia, where their Mission has been passed on to others. My point about the widow’s mite was just that it is true of all things. God does not ask you to have much but to give what you have to give, if it is only two mites of money, or time, or character, or intellect, or anything else. Sometimes it does feel as though I need to dig deep to find anything to share with people, let alone with God, so today I’m grateful to receive Fr Andrew’s words, and glad to share them with you. And to relate his wisdom to the giving of the sisters symbolised in the picture above. My symbol today might be a hand scratching my head: I’m grateful to receive Fr Andrew’s words! Life and Letters of Father Andrew p98. 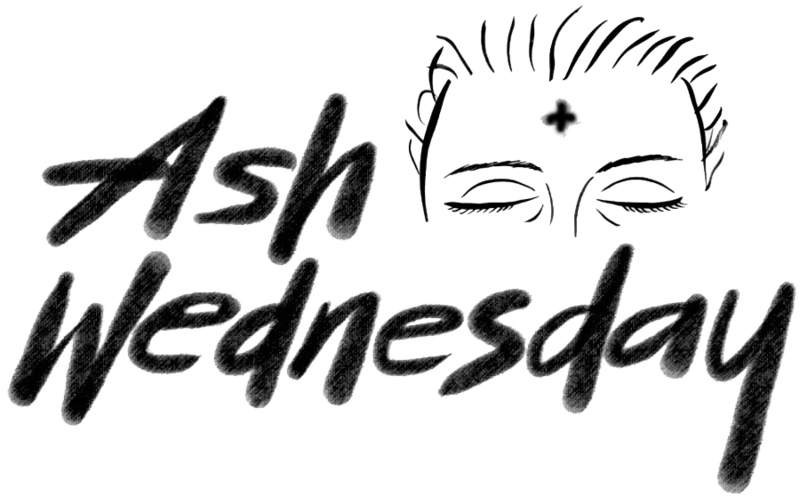 An Ash Wednesday message from Bishop Patrick Chisanga OFM Conv, former student at FISC. From the Missionaries of Africa Website. Bishop Patrick leads the diocese of Mansa in Zambia and was recently a student at FISC. Spiritual Warfare against Evil Intensified: Ba Minshioni Ba Lelo Nifwe. On 1st March we begin the Season of Lent – the intensive 40 days’ spiritual journey towards that great summit of our Christian faith and worship: the annual celebration of the Resurrection of Jesus from the Dead, the ultimate victory of good over evil. The Word of God that is proclaimed during the liturgical celebrations of the subsequent five Sundays (Year A) have a particularly rich pedagogical character that guides catechumens towards the waters of baptism and general Christian Initiation on the Easter Vigil. All the faithful must equally endeavour to draw maximum benefit from the wealth of these carefully selected passages, in view of their own solemn renewal of the baptism promises during the same Easter Vigil and in order to be spiritually recharged for the ongoing battle against temptations and sin. The Sunday Gospel passages that will lead the way during this Lenten itinerary include: (1) The Temptations of Jesus – Matthew 4;7-17, (2) The Transfiguration of Jesus – Matthew 17:1-9, (3) Jesus’ Encounter with the Samaritan Woman at the Well – John 4:5-42, (4) Jesus’ Healing of the Man who was Born Blind – John 9:1-42 and (5) Jesus’ Raising of Lazarus from Death – John 11:1-45. As you may notice, the last three passages from the Gospel according to John are quite lengthy. However, with adequate preparation, these Readings may be proclaimed using the role-play format, as is done on Palm Sunday and Good Friday. The priest and selected faithful could take the respective roles of Jesus and other individuals in the passage. By so doing and, when done diligently, this manner of proclamation enables the congregation to follow with greater attention. I invite all priests to carefully meditate upon these Readings during this whole period of grace so as to be able to deliver a fitting message to the faithful during the celebration of the Eucharist. Furthermore, in view of the so many Centres that still do not have priests on Sundays, I ask all parish priests to ensure that there is sufficient prior preparation of the prayer leaders and/or catechists who are selected to comment on the Word of God during the Sunday worship in their respective outstations. In addition, I enclose, with this letter, the Lenten homily notes that the JCTR has graciously shared with us. Let them be further distributed to the Small Christian Communities (SCC), Lay Groups as well as individuals for further reflection and appropriate action that is inspired by the Word of God. This year’s Lent coincides with the Pastoral Theme in our Diocese according to which we celebrate the ministry of the pioneer missionaries and declare that “We are the Missionaries of Today” (Ba Minshioni ba Lelo, Nifwe). Let us recall the sacrifice, availability and pastoral zeal of our gallant pioneer missionaries and in turn make a commitment to the effect that their works will live on through each one of us. Indeed, the Church, in Mansa Diocese, shall continue to announce the Good News to all creation, in obedience to the great commission of our Lord Jesus (Mark L6: 15). To rekindle this missionary zeal, the Lenten Season offers us the instruments of Prayer, Fasting and Almsgiving according to the guidance of Jesus, as proclaimed in the Gospel passage of Ash Wednesday (Matthew 6:1-6,16-18). These three pillars of Lent, when taken seriously, have the capacity to bring about lasting positive change in our lives, especially in overcoming the sinful habits that we repeatedly struggle with. I invite each one of you to pray, fast and give alms with the intention of being liberated from any such demeaning slavery. Furthermore, in order to intensify our spiritual warfare against evil through combined effort and, in response to the appeals made during the Pastoral Council Meeting last October, I again invite the faithful in all our parishes to observe the “24 hours for the Lord” on the Friday to Saturday of the 3rd Week of Lent (24 – 25 March). Let this day be flooded with prayers, songs, Eucharistic adoration, catechesis and actual celebration of the Sacraments of Reconciliation and the Eucharist. lt would be fitting that this special day concludes with the joyful Eucharistic celebration of the solemnity of the Annunciation of the Lord on Saturday, 25th March. I implore you, my dear brothers and sisters in the Diocese, to take the invitation seriously and spare this ’24 hours’ exclusively for the Lord. Bring to this special period of intense prayer the needs of our society and individual members for healing from anger, guilt, unforgiving heart, drunkenness, sexual immoralities, pride, selfishness, etc. Through this prayer, let us also invoke Divine intervention to end the ongoing violence against the sanctity of human life, the values of marriage and family as well as the integrity of God’s creation. May the grace of our Lord Jesus Christ, the love of God the Father and the communion of the Holy Spirit be with you. I wish you a fruitful and grace-filled Lenten Season 2017.